The latest on universal credit. 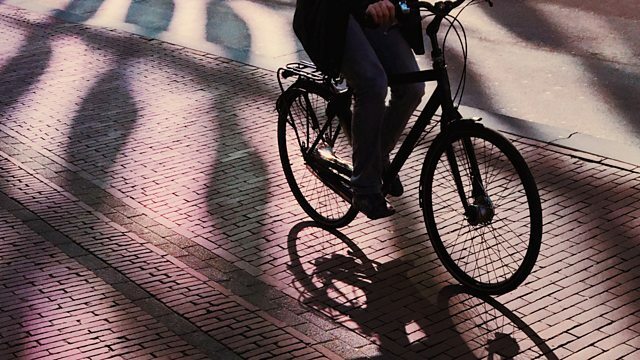 The Dutch city where cycling is now the most popular form of transport. The people needing care at home but being told they can't have it. Our reporter, Tony Bonsignore, has the latest on the Government's controversial welfare reform - Universal Credit. There's been a growing clamour from politicians and debt-relief charities for the Chancellor to offer some extra financial support to claimants who lose out. This morning the Employment Minister, Alok Sharma, was urgently summoned to appear before the Commons Work and Pensions Committee, to answer questions about when the Government is planning to move benefits claimants on to Universal Credit and how it's planning to support those who are moved on to the benefit. We hear from people in the Dutch city of Utrecht where cycling is now the most popular form of transport. Our reporter, John Laurenson, spends a day on a bike, starting in the town of Houten, to find out why locals have ditched the car and the bus. We investigate why more than a million elderly people in the UK aren't getting the care they need in the home. The charity, Age UK, says that 1.4 million people who can no longer take care of themselves, getting up, getting dressed and going to the toilet, are denied help and that the number will rise by a fifth within the next two years. Local councils have a legal duty to provide this care but they say that an ageing population and budget cuts mean they don't know how they'll meet demand. A third of councils in England report care firms shutting down in their areas, or handing back contracts. We speak to Colin Angel of the UK Home Care Association and Glen Garrod from the Association of Directors of Adult Social Services, about what needs to change to make the system work for people needing care at home.